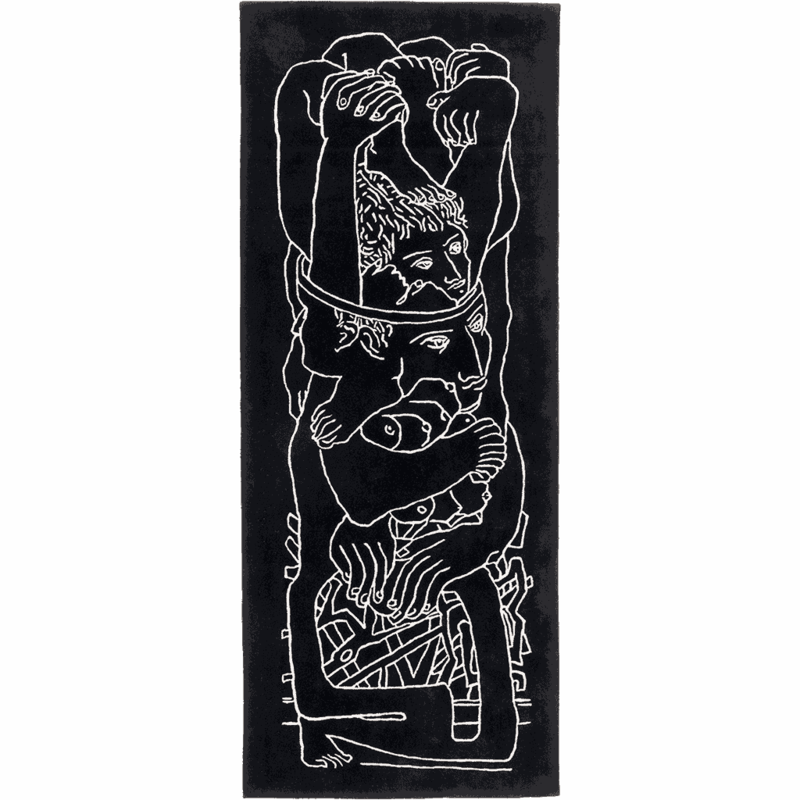 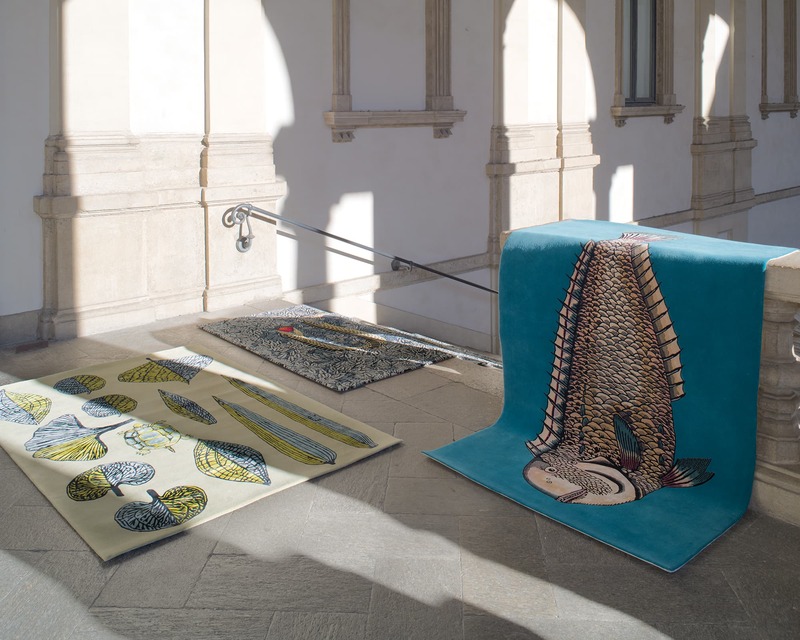 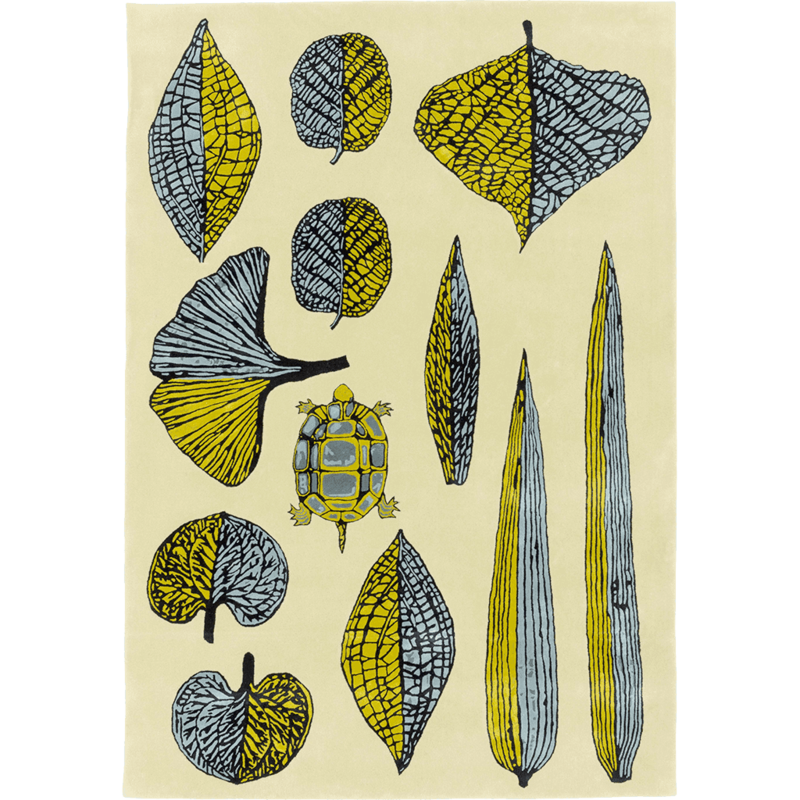 Eleven exquisite rugs born of the combination of classical and contemporary themes. 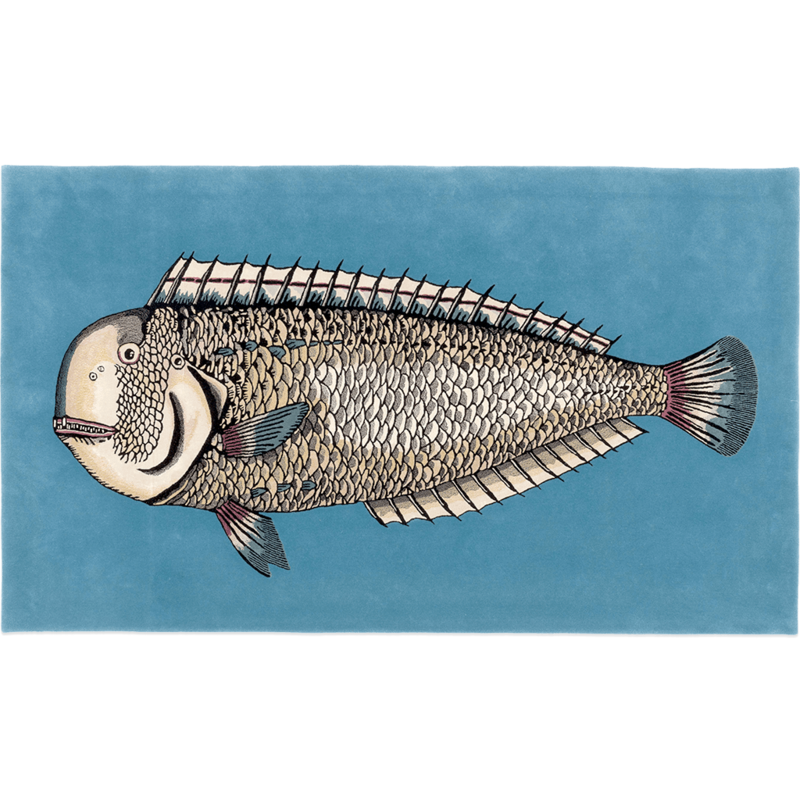 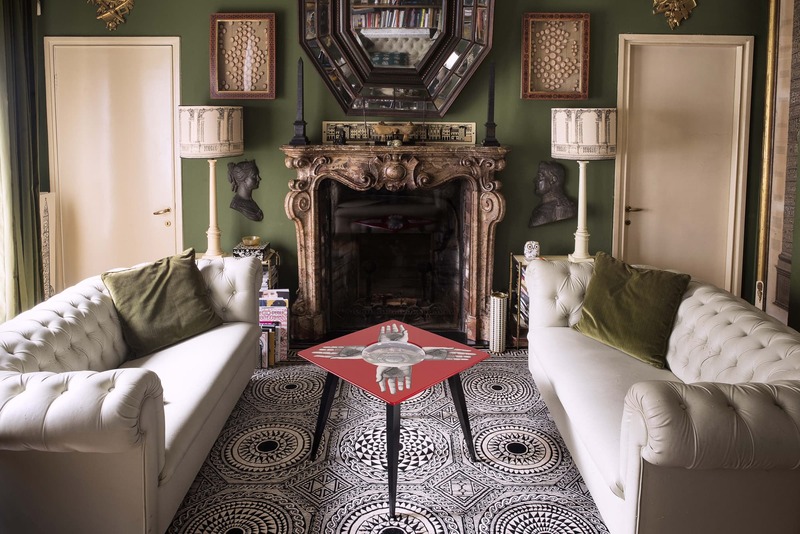 Fornasetti’s visual universe turns into sensory surfaces imbued with a playful and dreamlike quality. 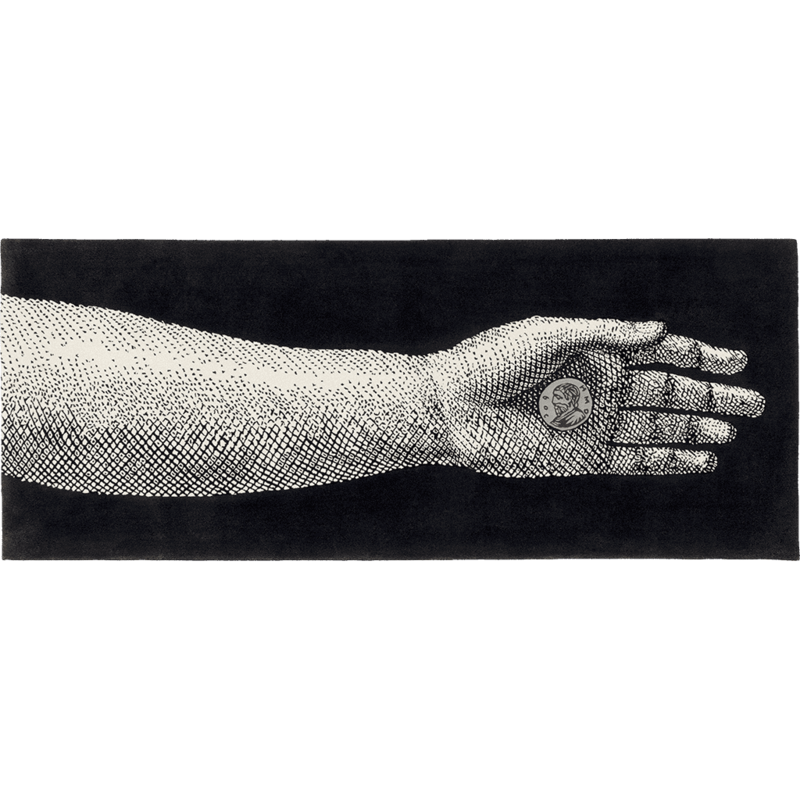 The finest wools and silks are hand-tufted. 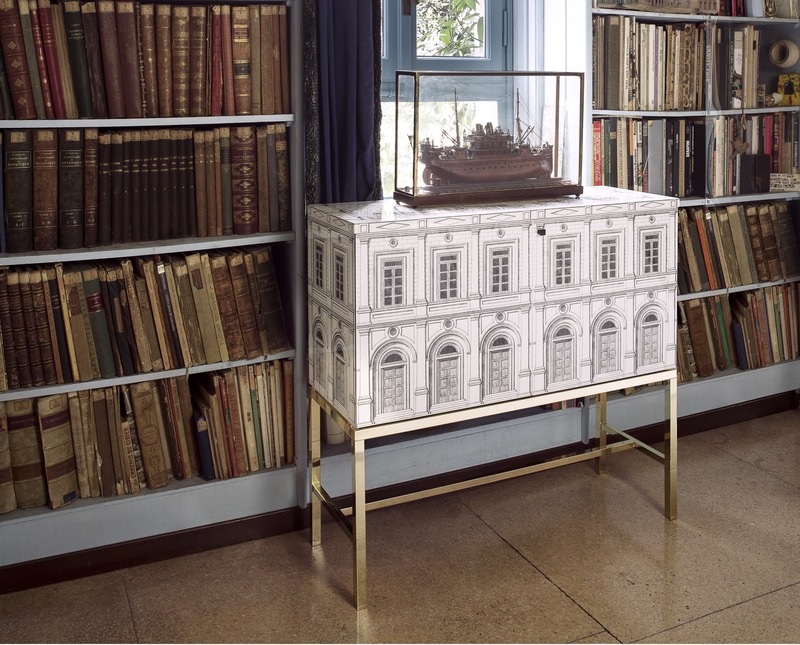 This ancient artisanal technique makes every single creation a unique work of art, which will fill any room with magnificence. 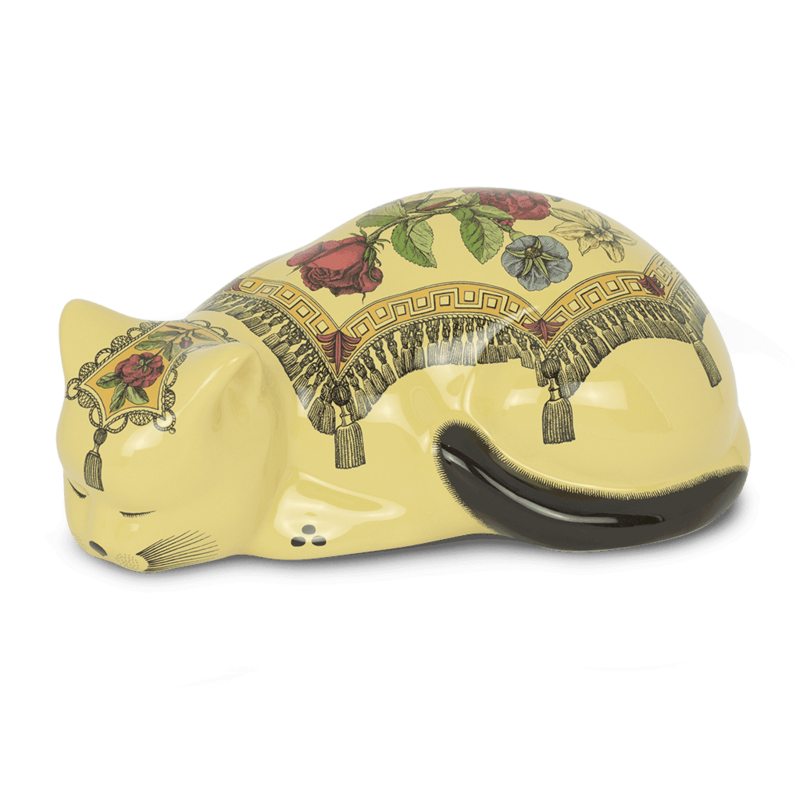 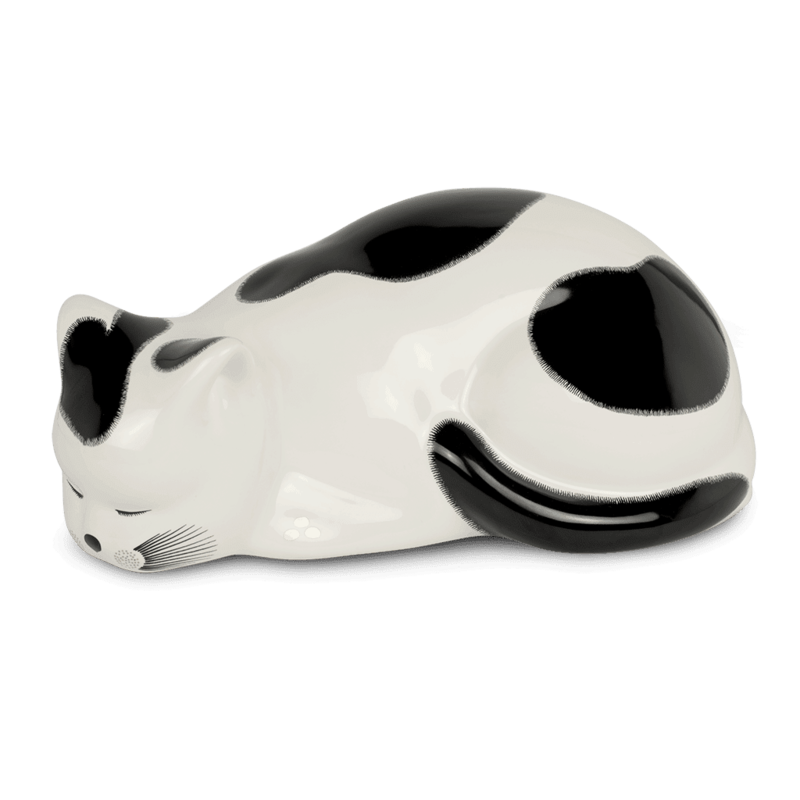 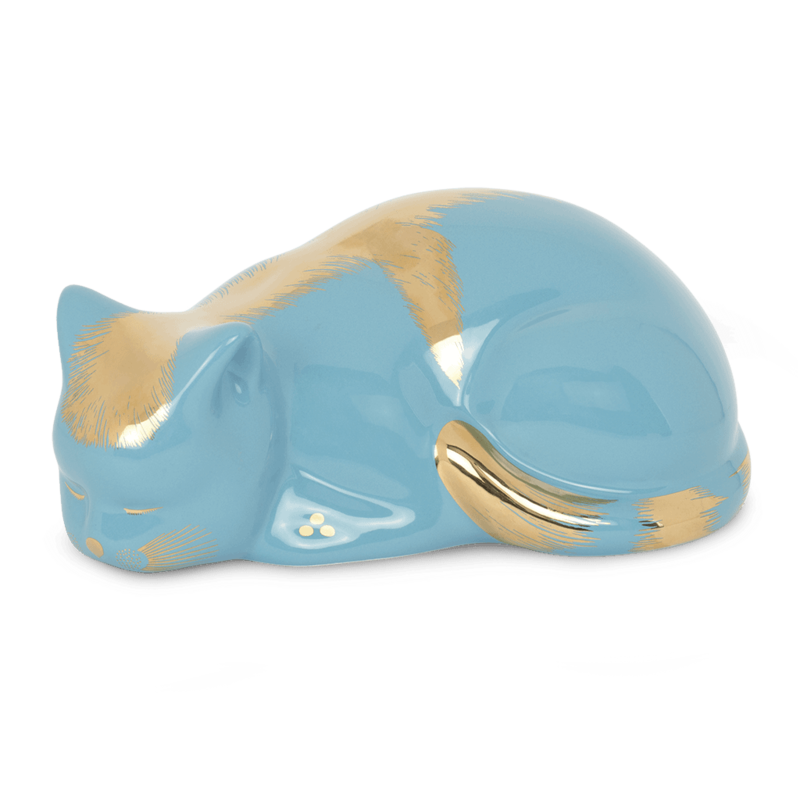 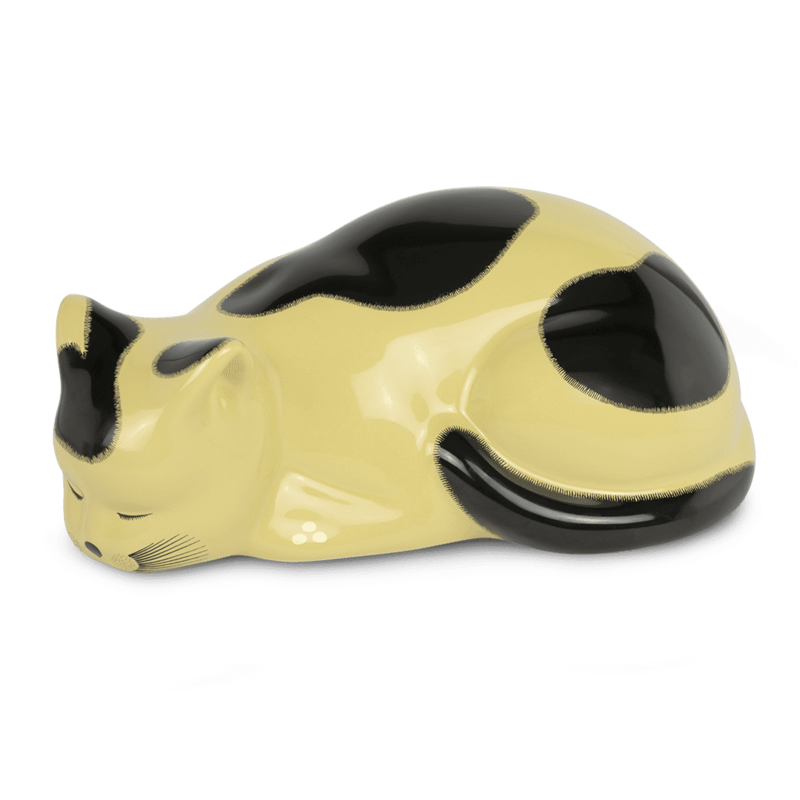 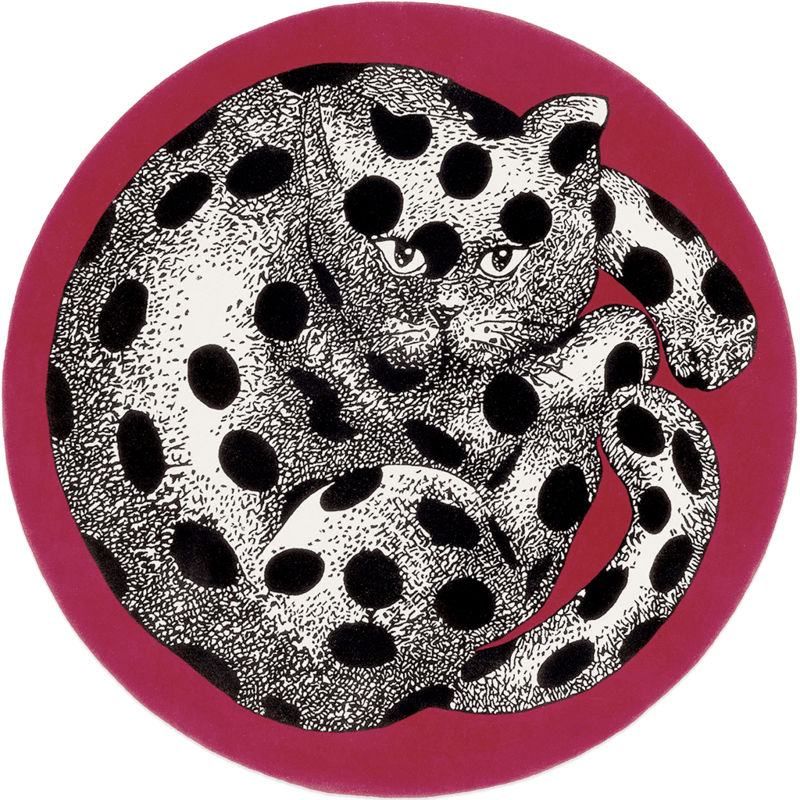 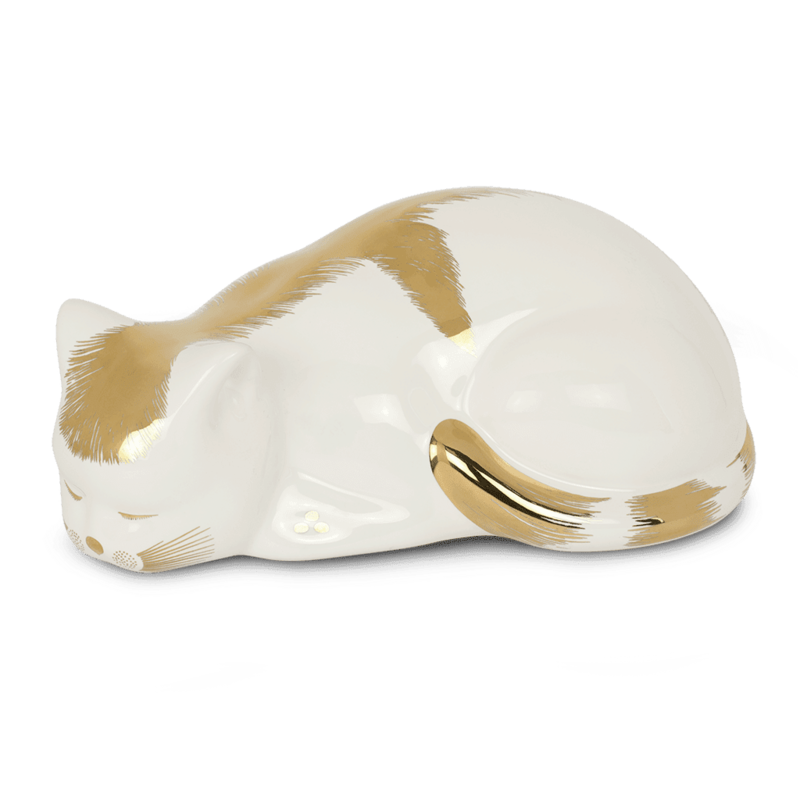 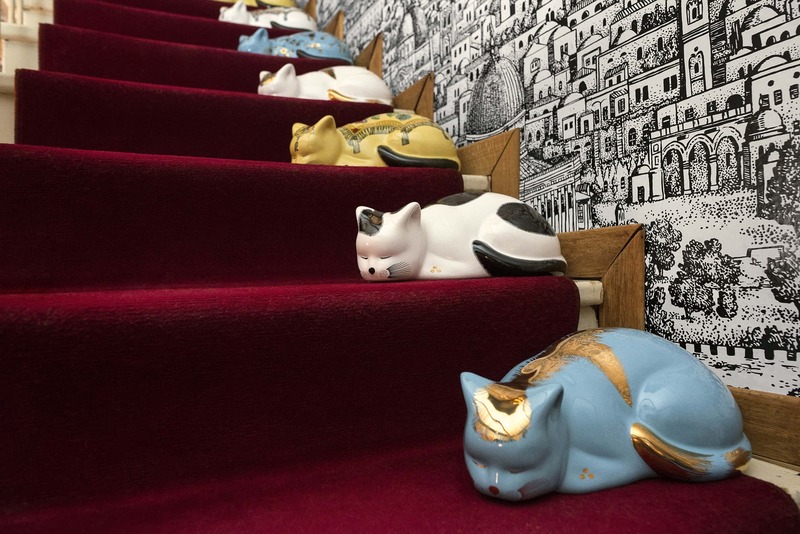 A collector’s coveted item in the 1950s, the Fornasetti cats have taken over the domestic scene once again. 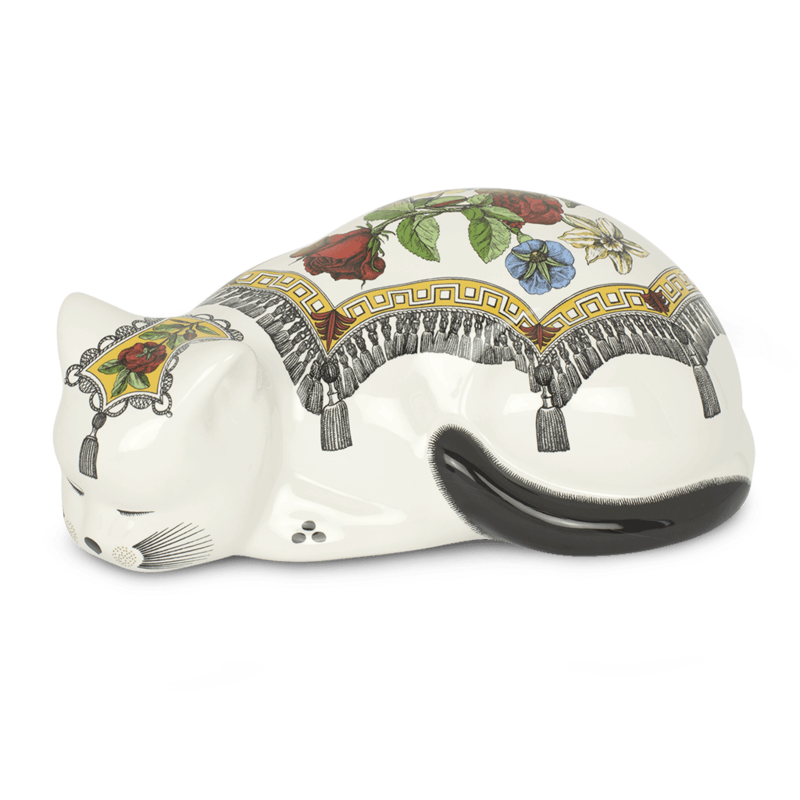 The cats surprise with their sophisticated coats as they color the atmosphere of any room with sheer exuberance. 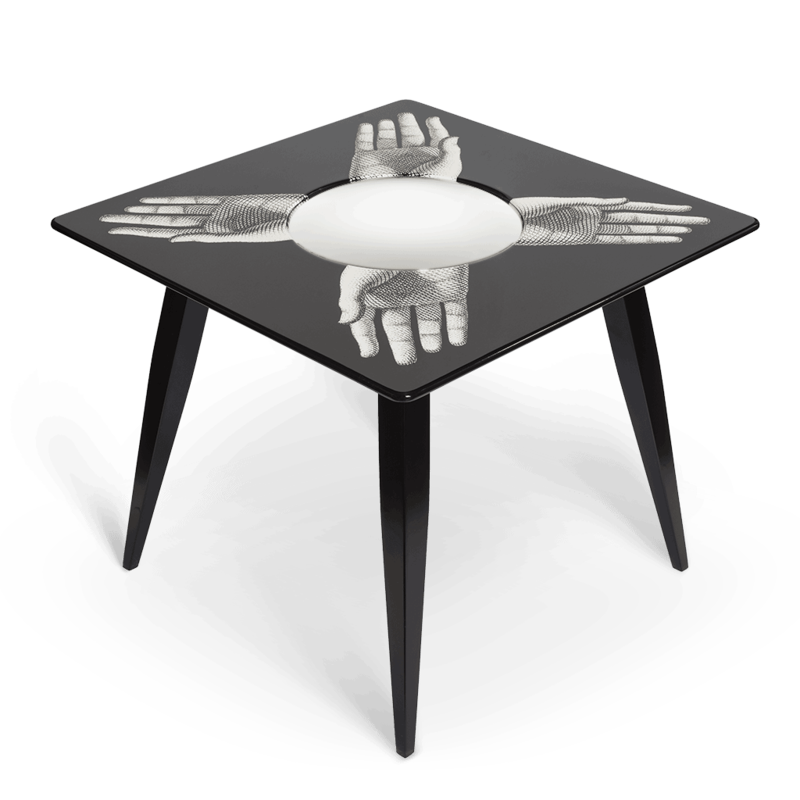 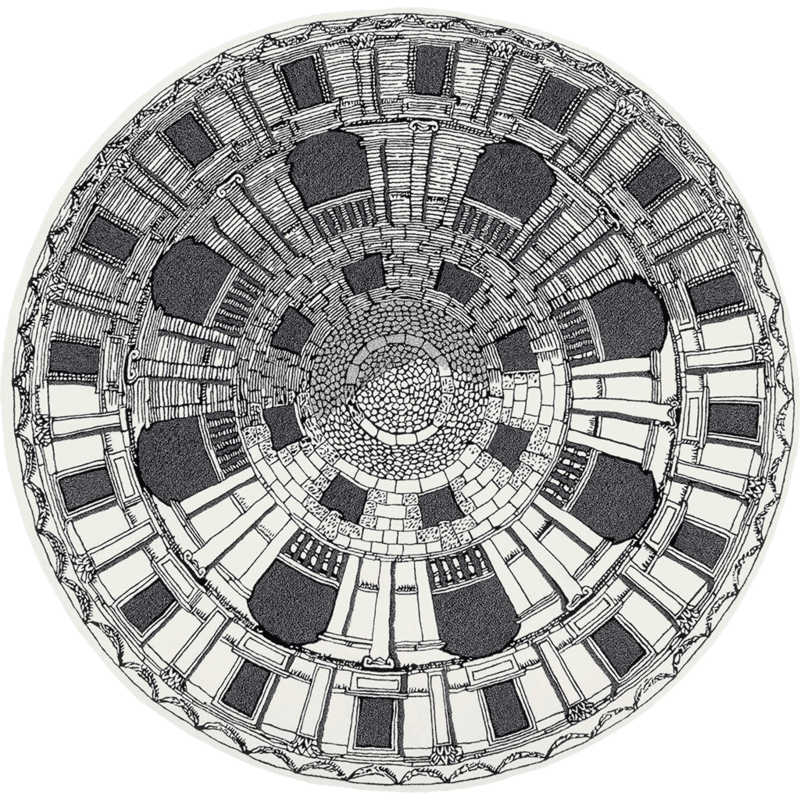 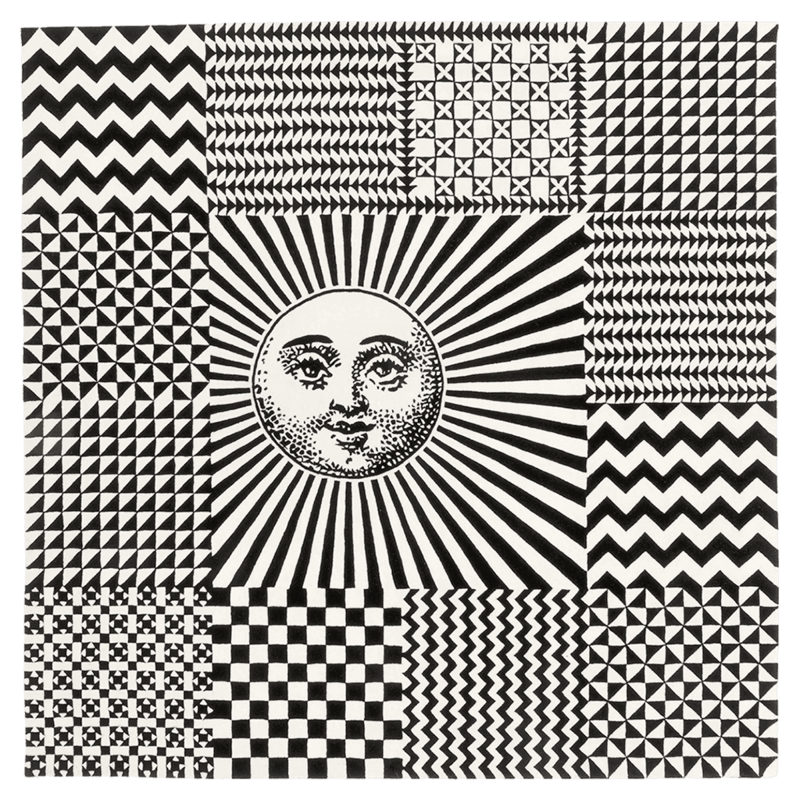 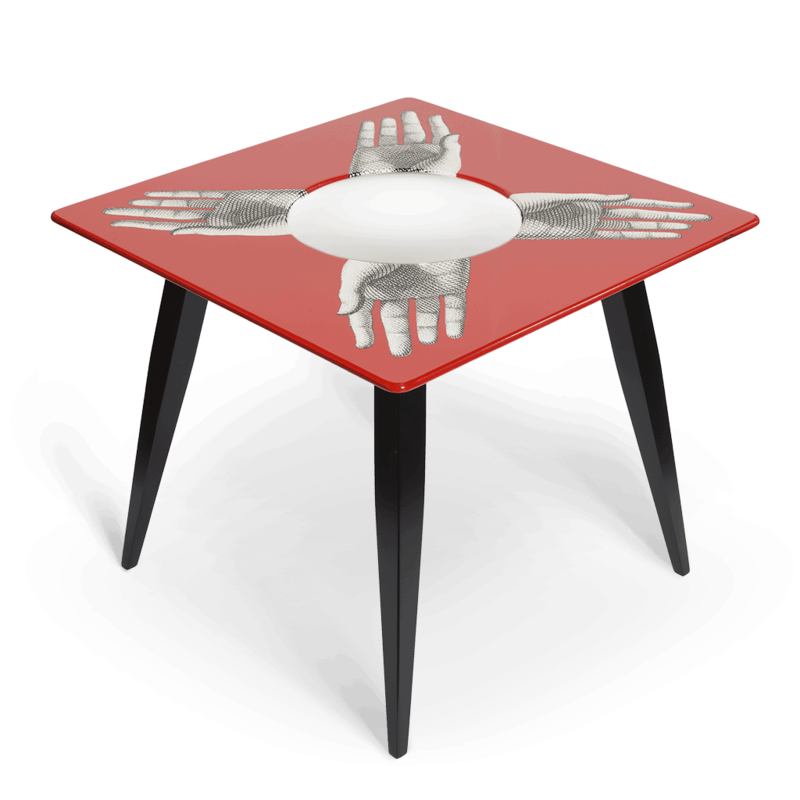 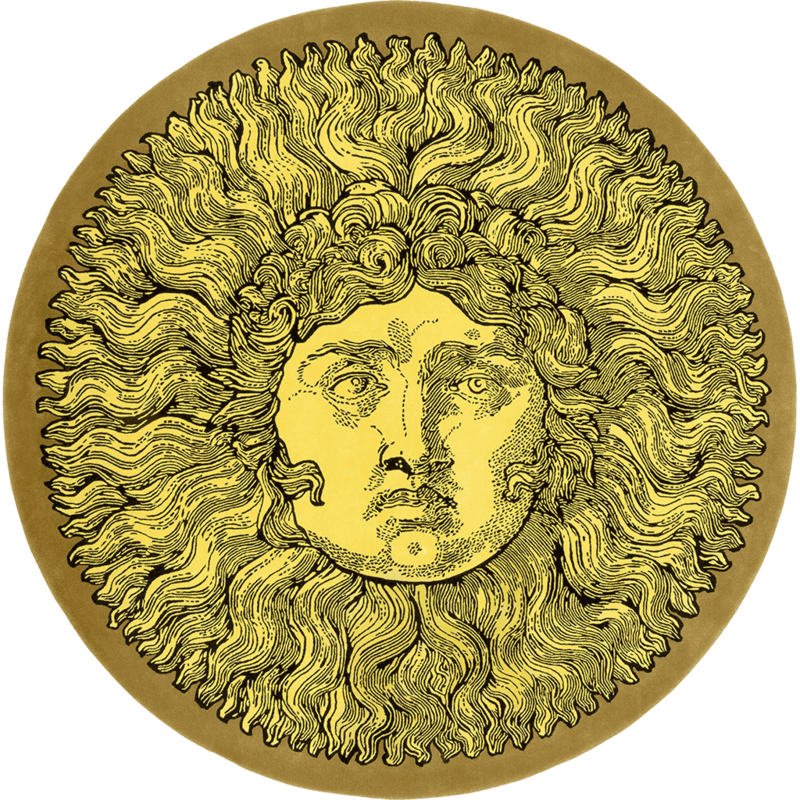 The magic tables are the epitome of Fornasetti’s art of deception and illusory effects. 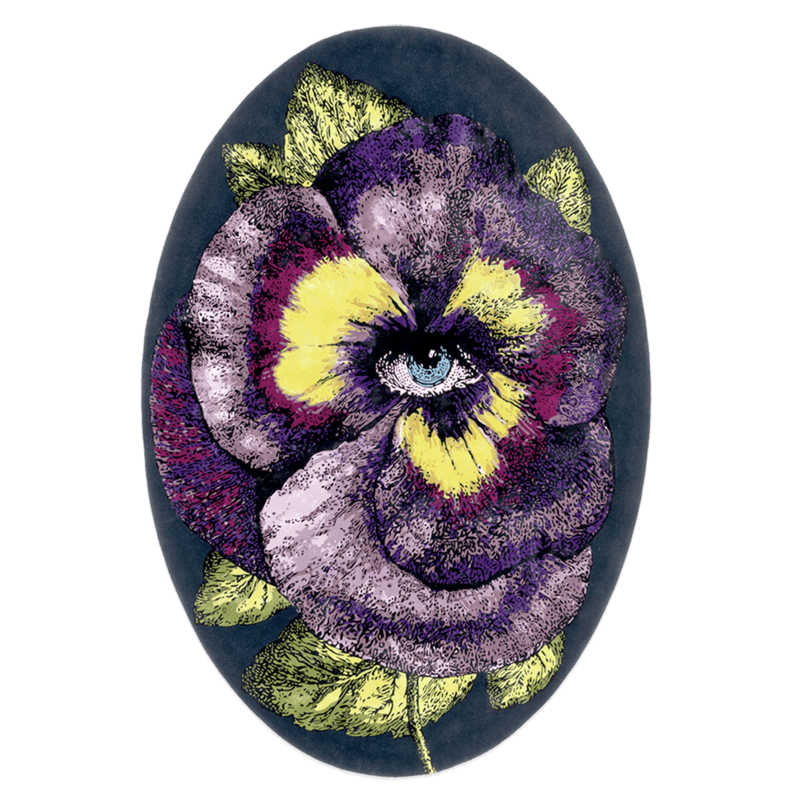 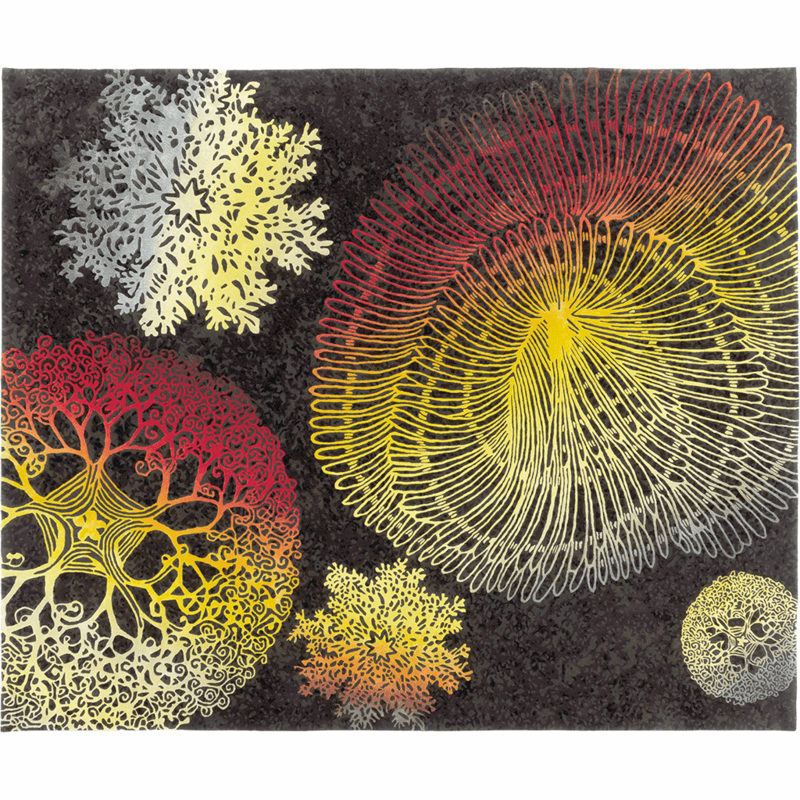 Confoundingly refractive, they convey lush elegance to every corner of the room. 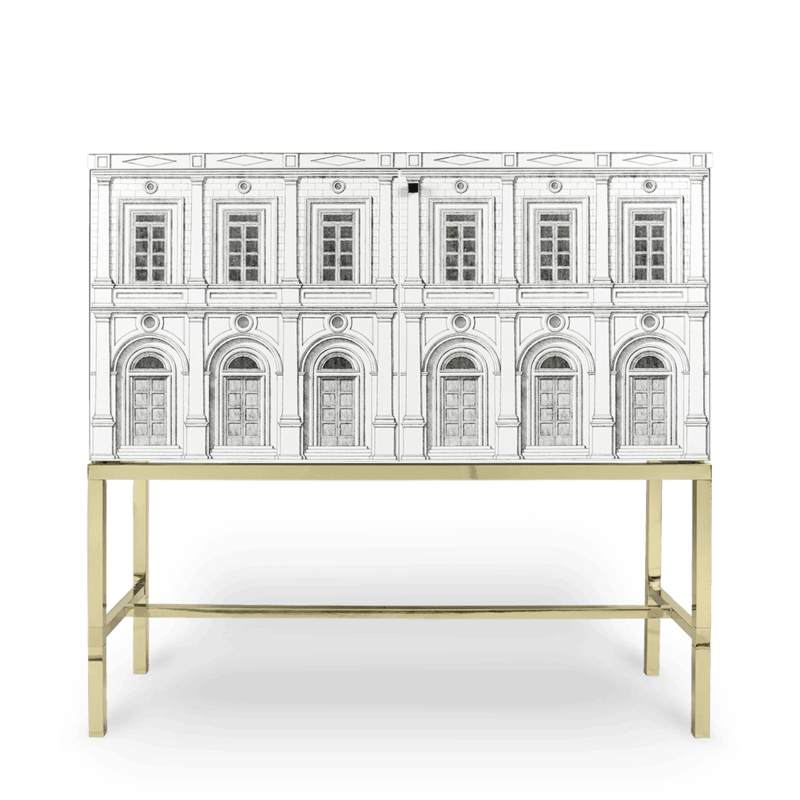 The new Fornasetti cabinets bring a fun and tongue-in-cheek design into the domestic space, while playing with the history of architecture. 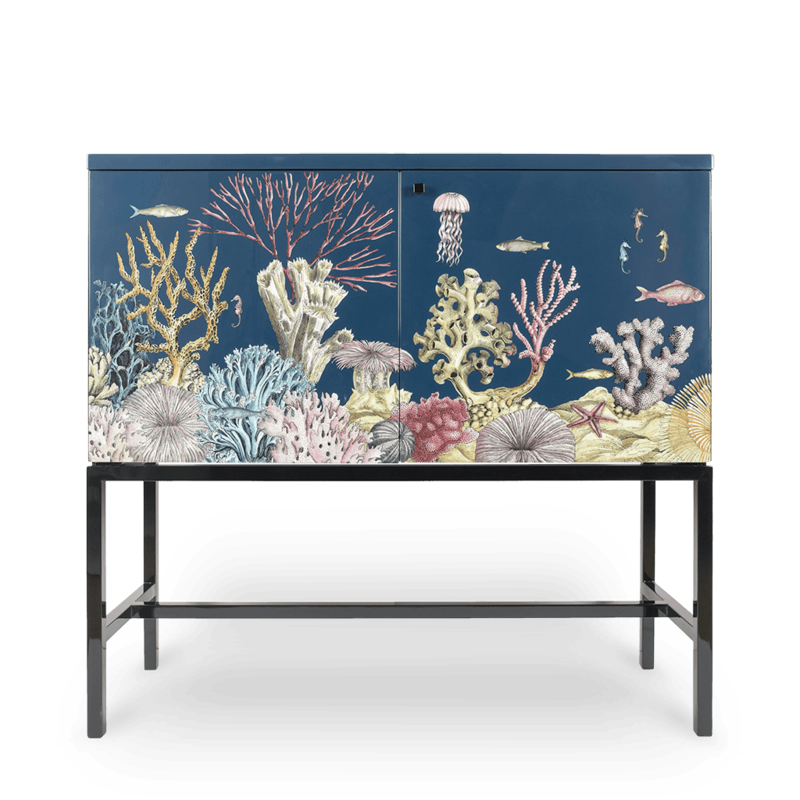 An unusual yet sophisticated atmosphere is thus created by combining art with design. 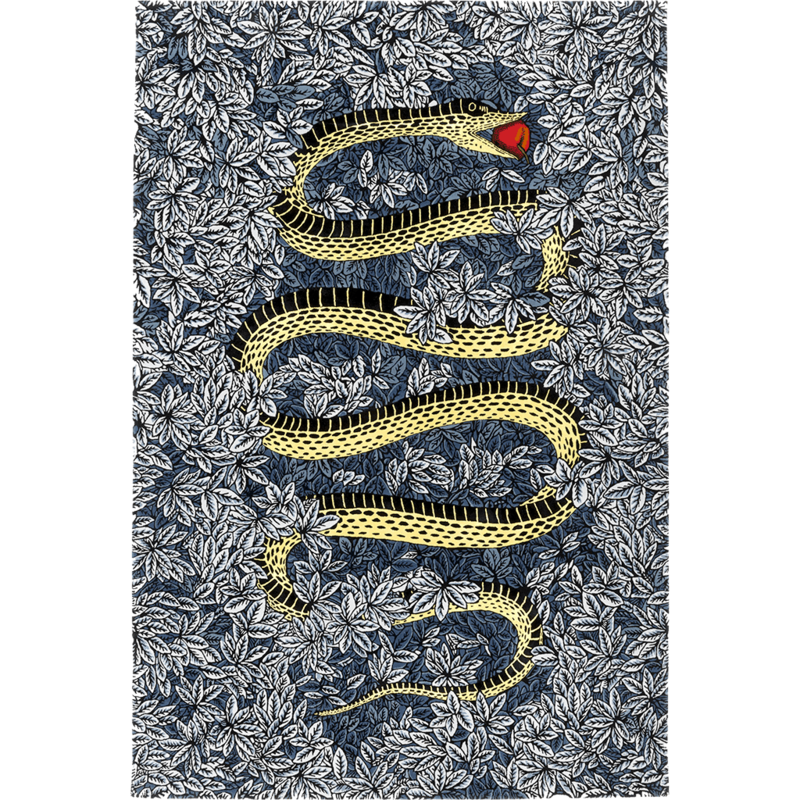 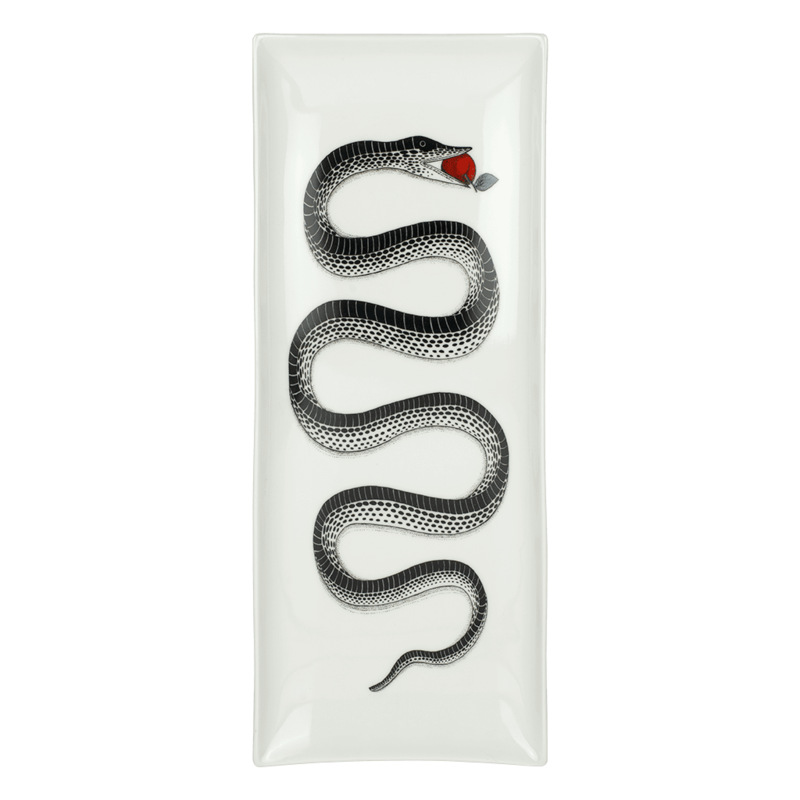 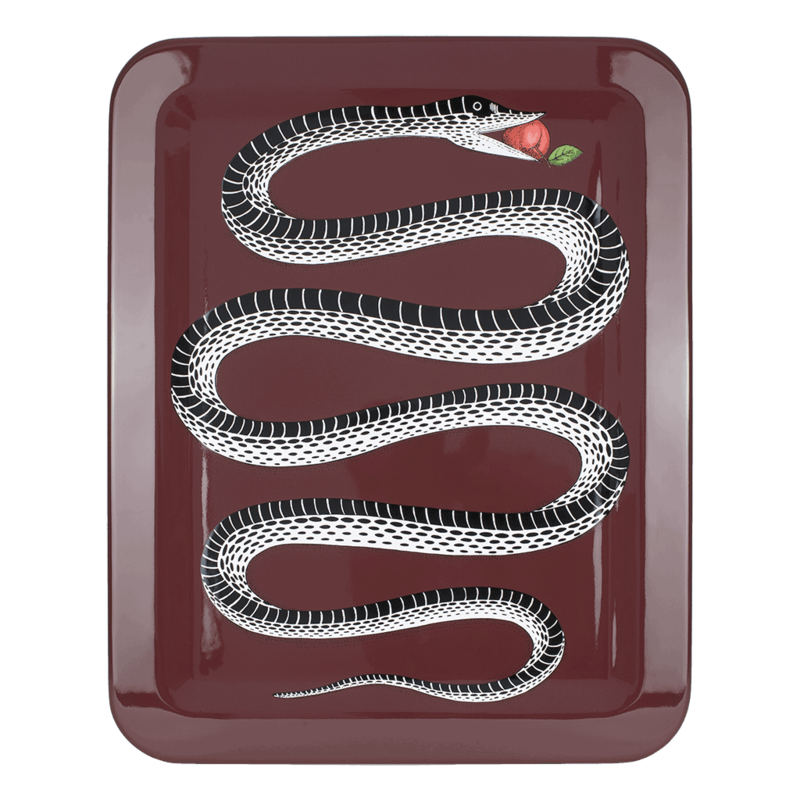 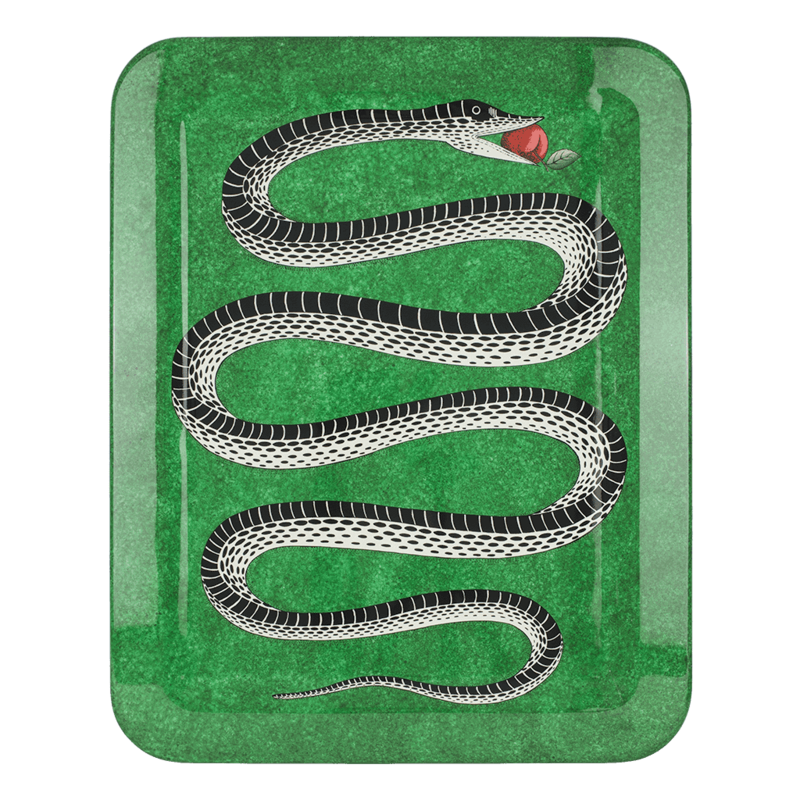 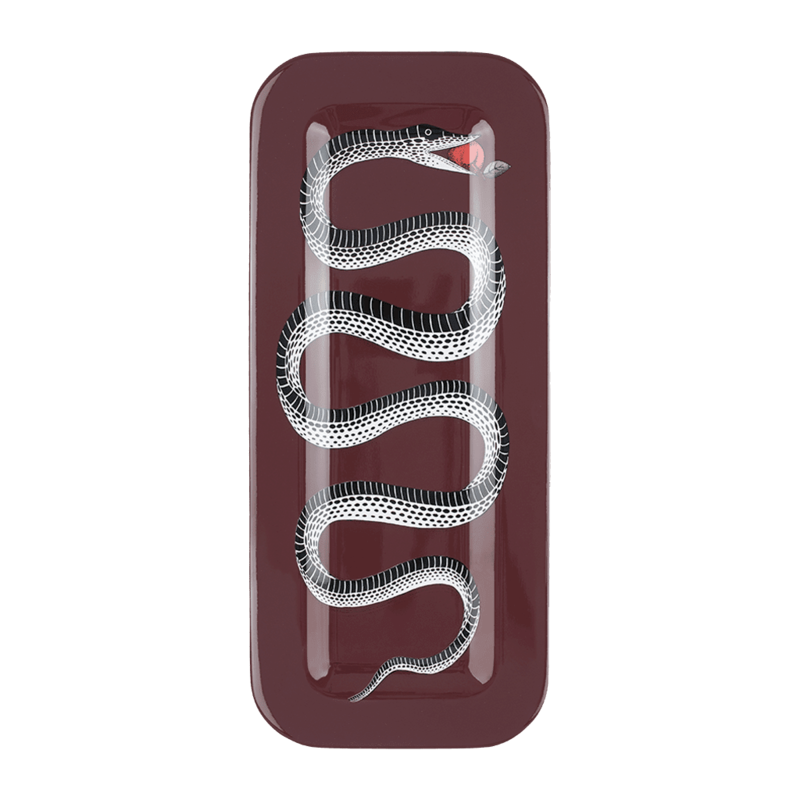 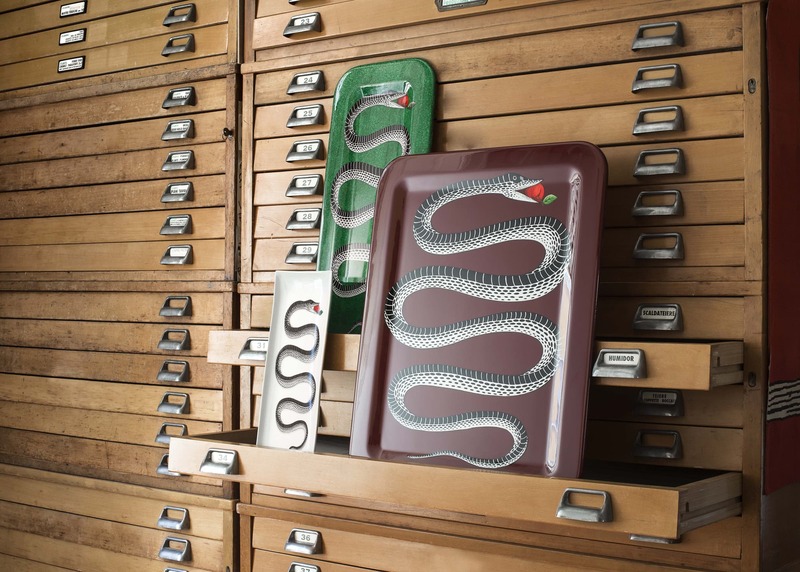 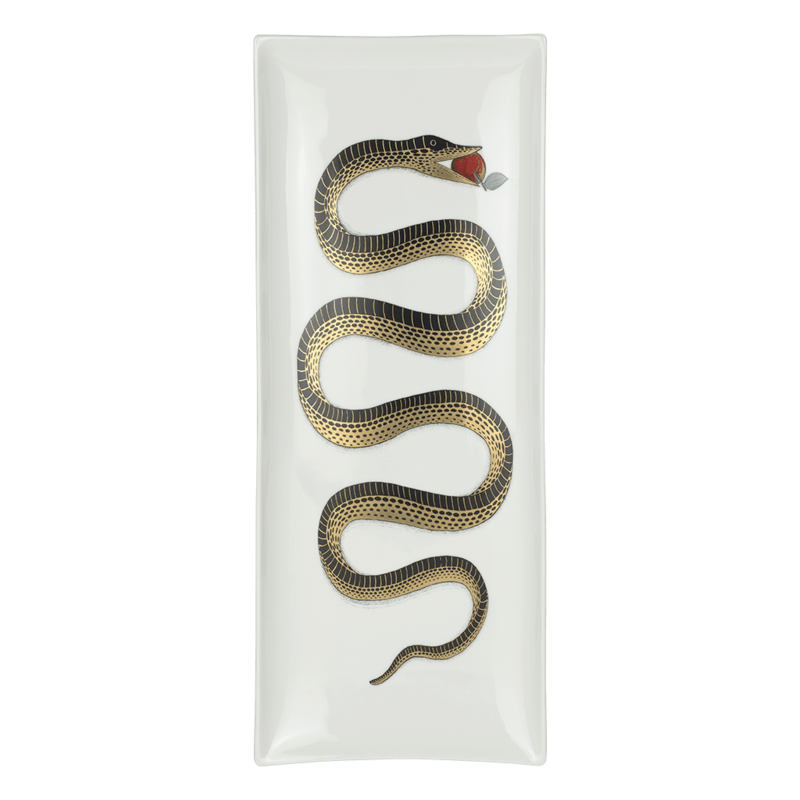 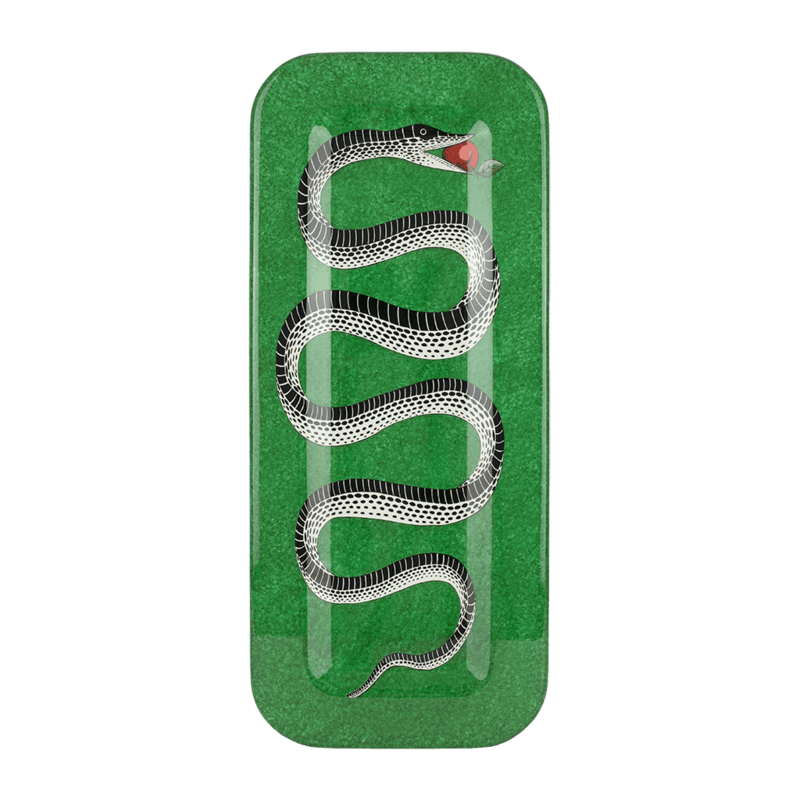 Fornasetti’s Serpente trays have the power to rivet your attention and capture dreams while proffering elegance and seduction to your guests.